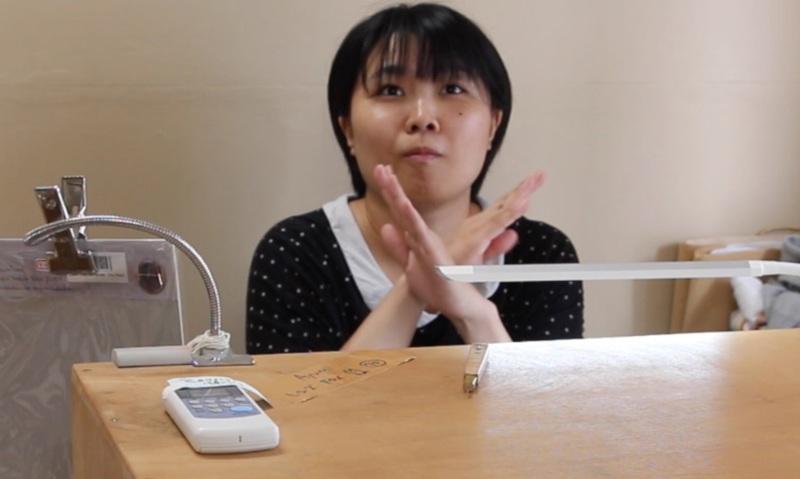 Bad news #1: our young 'star' printer - Ayumi-san, who you have watched on dozens of our YouTube videos - is leaving us. This is something she herself is very happy about, and we have all congratulated her, but for me as the manager here, it's a different story ... After five years of hard work, and training to a true professional level, it's all over. She is going to stick around for a few more weeks, doing 'light' work (only postcard size, in small quantities) at her request, and then she's leaving. And of course, in the way that young Japanese women do these things these days, she doesn't want to work any more. Not that it would be possible ... the printer's job isn't something you can do while taking care of a baby; it's even difficult for us when a phone call comes in to disturb the rhythm of the work. It'll be years before the child is old enough to let her work, and by then there'll probably be a follow-up ... For as far as I can see into the future, she's done. I was so proud of what we had achieved here in this traditional woodblock community - showing that women could indeed do this job at a professional level. And yet, it's pretty clear now that I was very foolish. Not foolish to hire women; foolish to hire only women. And it has now come back to bite me ... hard. So I've been working the phones, and visiting people, and have put together a 'rescue' package. Experienced printer Kubota Kenichi (who has been doing our Great Wave printing for the past year or so) has recently taken on a new apprentice. This young man isn't a beginner, but worked at another major workroom for around five years before joining Kubota-san, and actually has been assisting him with our Great Wave printing work. These two guys are willing to help get me out of this mess, and have promised that they can provide continuous productivity from at least one of the two of them. As I write this, they are working on the current batch of the 'Flight of Fantasy' print. That'll be done next week, and then the day that the blocks for the initial print in the re-booted Ukiyo-e Heroes series are finished, we'll be proofing them together, and they'll get to work on the initial print run of that one, followed by the other new prints in the series as they are carved one-by-one over the coming months. 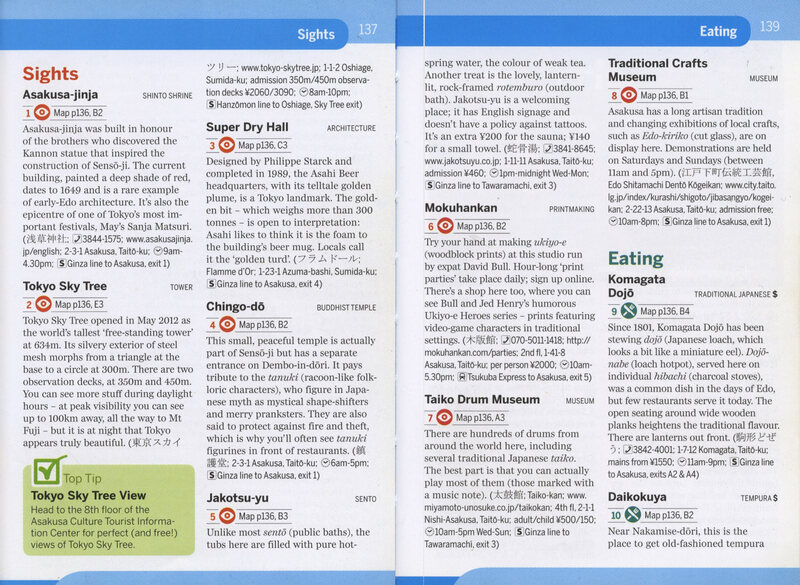 OK ... moving right along ... bad news #2: I just received a shipment from Amazon this afternoon, of the new edition of the Lonely Planet 'Pocket' guidebook for Tokyo. We're no longer in there. 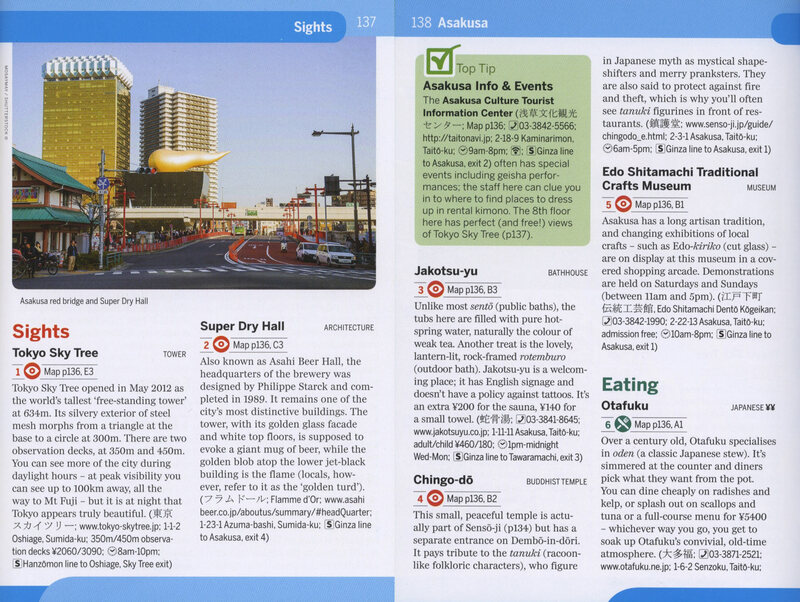 Lonely Planet has dropped us. Eight 'Sights' reduced to five, three of them replaced with a pointless stock photo of the Asahi Beer building. And when I saw that I had to slap myself in the head. When one of the writers of this book was here last year doing a Print Party (which he seemed to enjoy very much) I pointed out to him how the entry for the Asahi Beer building was incorrect in the 2015 edition (you can read it in that image). He has corrected it in the 2017 version (about the resemblance of the office tower to a giant glass of beer), and I guess to show the point, he put in the photo ... knocking out some of the listings ... including me! So I clearly shot myself in the foot on that one! All laughing aside, this is very very bad news for us, and is going to hit us staggeringly hard. Guidebook publishers have an incredible amount of power and influence, and over the past two years that this book has been in print, it has been a daily occurrence for us to have people climb the stairs to our shop ... while holding the book open in their hand! It was a huge support to our business in its initial stage. There's nothing to be done, of course. I'll write to them (I'll try to be polite) to ask if there is anything that we can do to 'get back in their good books' :-) but I know already what they will say: "Dave, it's simply a question of space available ... it's very tight ..."
Moving right along ... Do we need a #3? So sorry to read this, Dave. As the co-owner of a small industrial supply company here in the US, I've felt the pain of watching a very valued employee leave. The time and money invested in getting them to that "sweet spot" is huge. It sounds like you have a workable solution, but the pain will certainly be felt for the foreseeable future. Good luck in your search. As long as I've known you I found you've always been incredibly resourceful in solving each and every problem thrown at you on the way of becoming a professional woodblock printer and carver of Japanese woodblock prints. Still wishing and hoping the near future will bring you more favourable news course! Have you thought about signing up your print parties as an Airbnb Experience? Dave, I know that equality for women in Japan is so much worse than here in Europe, but, in the long run, have you tried to explain to her that she could take maternity leave, get a nursery place for the baby after 1 year and then return to work (you securing her the position)? Or is that something she is refusing, coming back to work at all? I think, a first step to tackle this inequality problem is, you reaching out to her giving her a secure workspace, where she doesn't have to feel guilty for having children? Ps. Lonely planet is hugely overrated, nevertheless I understand that this is bad news for you. There are women who want to (are able to) do this, and there are women who think it best to be full-time mothers. The luck of the draw has given me two 'mother' types ... When our printer Kanai-san became pregnant nearly two years ago, she came over to give me the news, then left ... even though she still had seven months to go. Bang. Working life over. Mother life begins. Am really enjoying your videos on youtube, that's how I found out about your workshop. Also, as you are not in the lonelyplanet anymore, I wanted to tell you about this thing called 'experiences' on Airbnb. (Airbnb.com) Perhaps you could offer the print parties also on that site? I know that it is quite popular with young people. Yes, absolutely. I'm done with young ladies (for the printing work). It would be business suicide for me to keep training more of them. I've tried to do what I think is the right thing, but I can't keep up the same policy. If we had a much larger organization ... dozens of printers working here ... then we could 'temporarily' lose people now and again without stress. But to lose two out of four ... It just doesn't work. We'll be posting news about two other printers over the coming weeks ... and yes, both of them are young guys. As for the Airbnb, I too, had high expectations of that when I first heard about it. Their sales rep was here a few months back, encouraging us to join this program. On top of that, there is the fact that they are not doing very well here in Japan, as there is a lot of resistance to their system in most communities, and also at the bureaucratic level â€¦ I would have to be very fooling to entrust my entire business to them. But thanks for the suggestion â€¦ I agree that it does indeed look good!